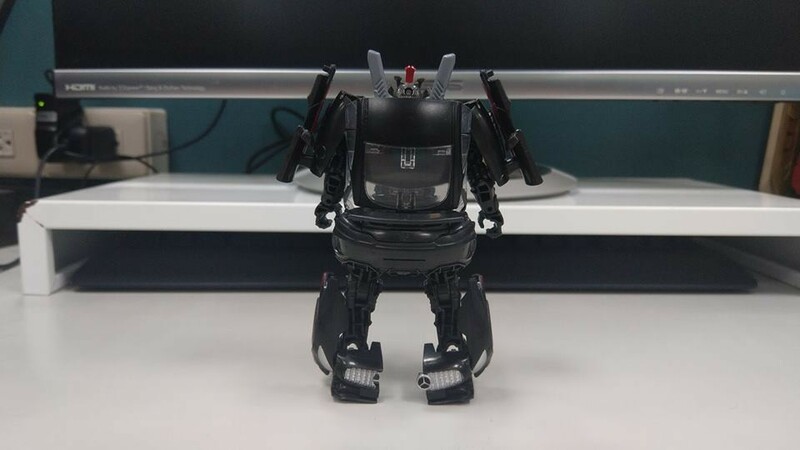 Motto: "If it has life,it could be hostile"
-Kanrabat- wrote: I find siege Optimus to be quite meh/daff. Especially with the stupid adition of that truck "baseball cap" who only end up as a backpack. SS "Geewun" Optimus is a work of art in it's own right. I'm looking forward to it to arrive locally. Tbh I kinda wish Hasbro would go with a more Sunbow cartoony aesthetic for a line with smooth panels and anime-esc angles (like giving G1 Optimus legs that actually get larger towards the bottom instead of them being big rectangles for legs). Because the new MP style does look good, but the designs are SO complicated and SO EXPENSIVE, that the whole simplistic cartoon style is sorta ruined by all those other variables. I'm not asking for 100% cartoon accuracy to G1, just some slightly more cartoony designs without all the excess senseless random lines and bits all over everything, and some more characterized proportions rather than the classic "symmetrical robo square thing" look. Like.. Why do they all have these perfectly symmetrical thighs from top to bottom? 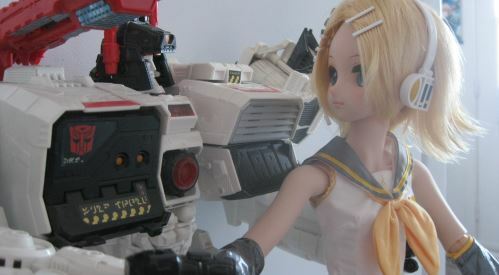 Why not add more anime-esc styling to give it more character rather than just looking like a "toy"? 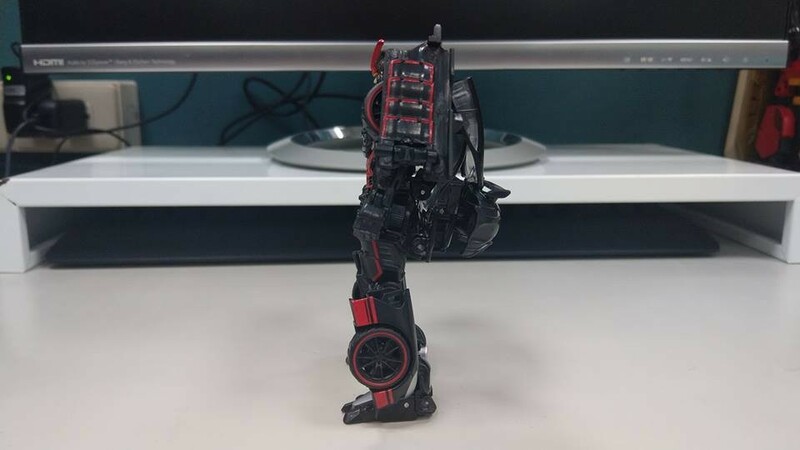 It's not that hard, just change the shape of the thighs and lower legs a tad on that Siege Optimus and it would look brilliant to me, but otherwise it just looks like another simplified MP10ish design to me. Generally I won't compare these type things to 3P, but.. 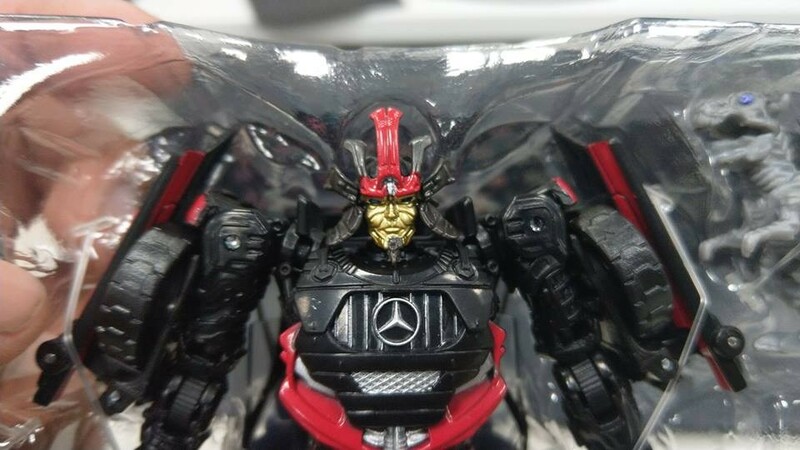 When you look at Maketoys figures for example, some of them have very simple transformations like Despotron (MP Megatron), And they have some modified details to look more modernized, and yet they still look cartoony somehow like actual character models and still invoke the feel of the original characters. 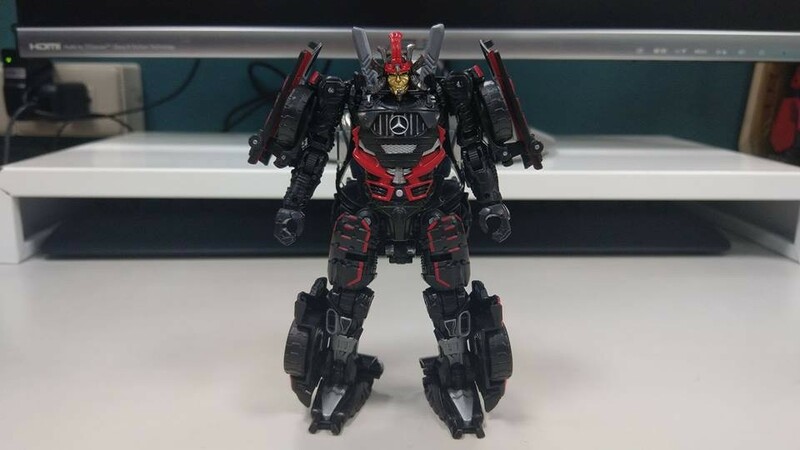 Really Despotron is probably just as simple if not less complex in transformation than some Studio Series figures, and yet it looks both updated and like a mini version of a giant animated character, rather than looking like a toy called "Megatron". And also by God.. 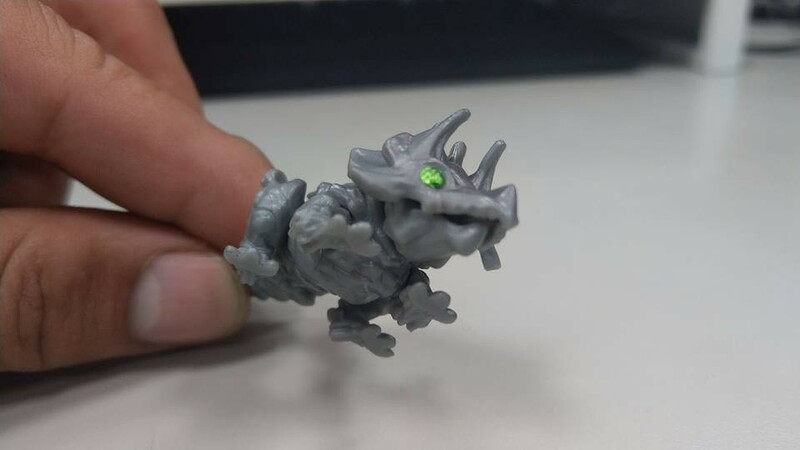 Please give some of these figures more expressive faces instead of just "neutral stone face". Part of the reason I love Studio Series much more is they're able to somehow make them super movie accurate and robotic in figure form and yet they still look like characters. You'd think designs that are meant to look more G1 would look more character-like than movieverse humanoid industrial machines. Latest let's play on my game Noise, by TheOdie! So all's that left to reveal is Scrapper for right arm, Mixmaster for head, Scavenger for upper body and Overload for lower body. 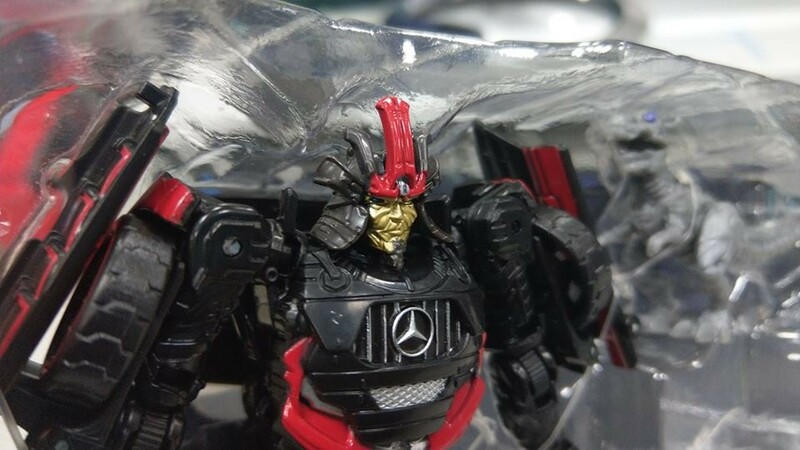 Mixmaster is gonna be interesting to see them pull off considering how spindly his robot mode already is. Does anyone else think Megatron's shotgun looks oversized? 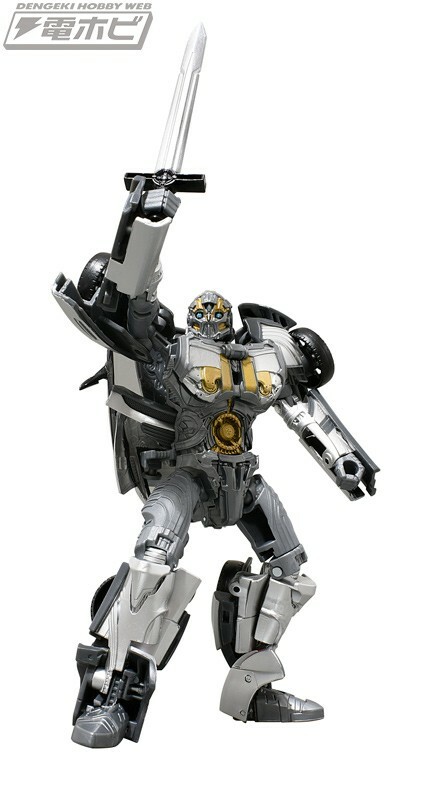 It feels like it could be held by the ROTF Leader Prime. 009* wrote: Does anyone else think Megatron's shotgun looks oversized? It feels like it could be held by the ROTF Leader Prime. 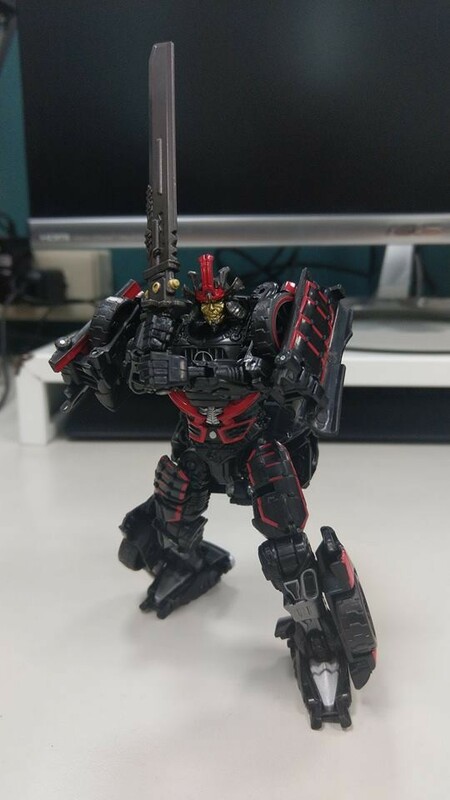 I think his shotgun may have been slimmer in the movie, but that may be from some camera angles and/or a rusty memory( haven't seen DOTM in a while). 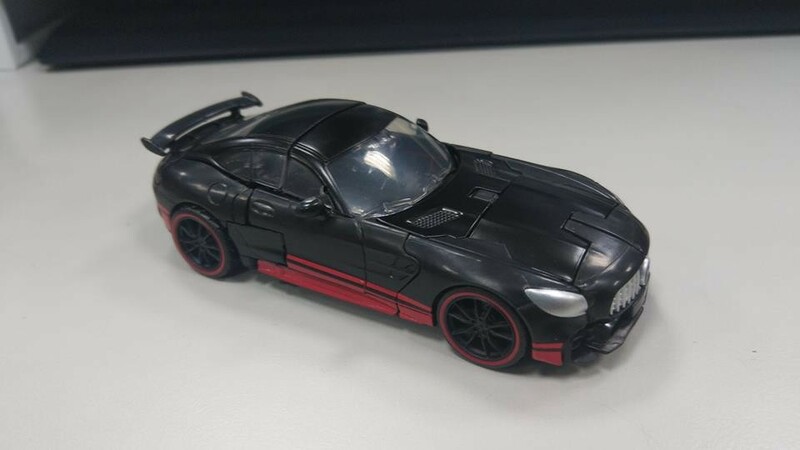 I think this shotgun is fine with the new DOTM Leader Megatron, but I haven't seen it on the ROTF Leader Prime yet. 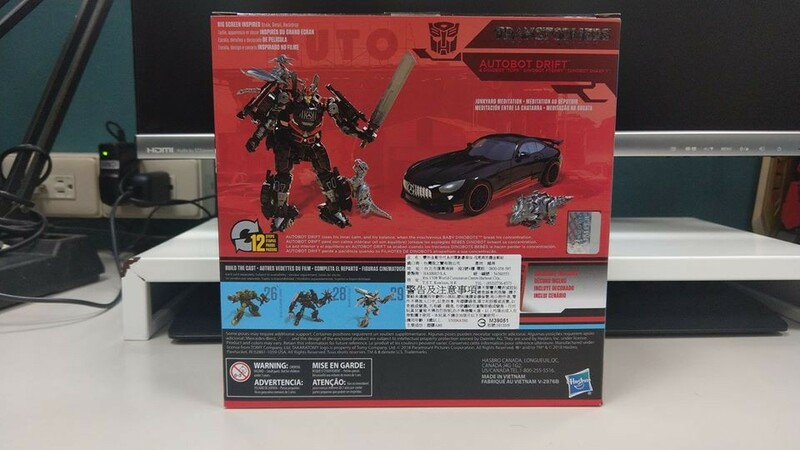 I read Studio Series Megatron 31 Battle Damage was to be a Target Exclusive this fall. by chance anyone know a price point? Man, SS Devastator is gonna be so huge and awesome! Just seeing reviews for Rampage over the past month with that leg mode, he's gonna be a giant. 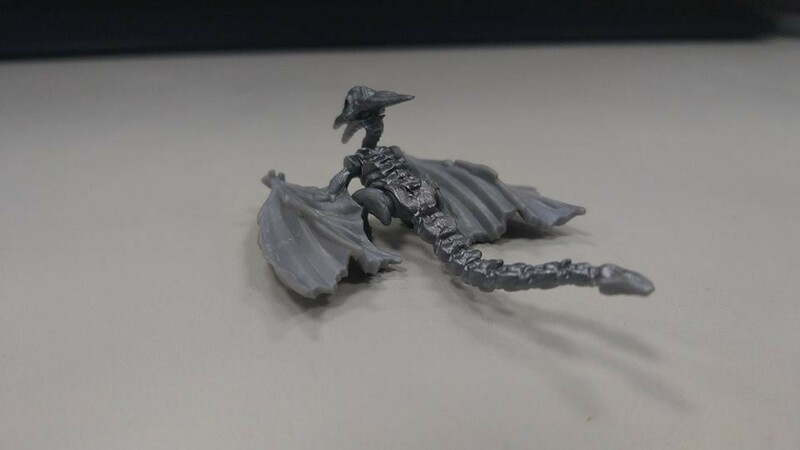 Looking forward to slowly assembling him! 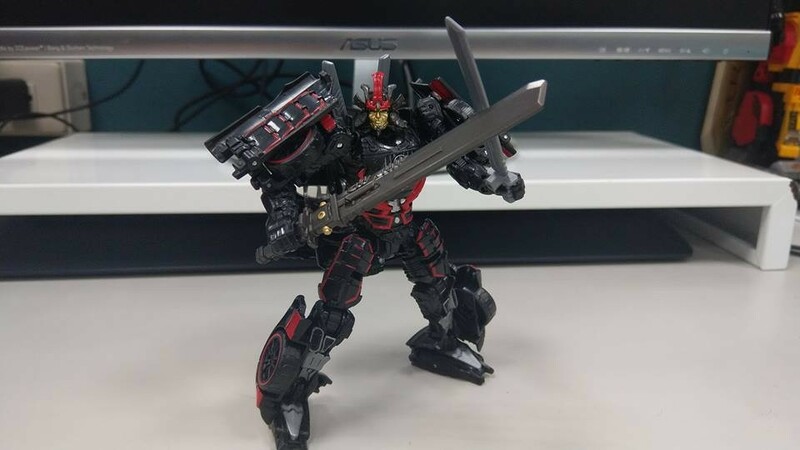 wheeljack34 wrote: I read Studio Series Megatron 31 Battle Damage was to be a Target Exclusive this fall. by chance anyone know a price point? 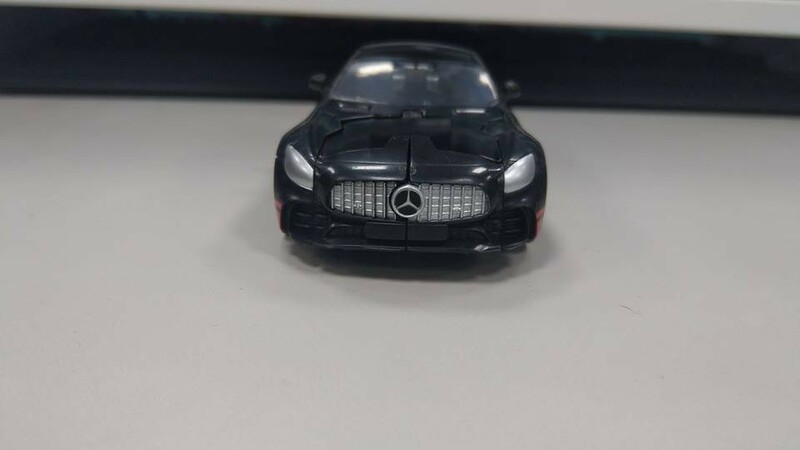 Price point is 30 usd. Thanks!! last i heard it wasn't going to be released so i was looking at the ones online now that are higher in price. Much appreciated! 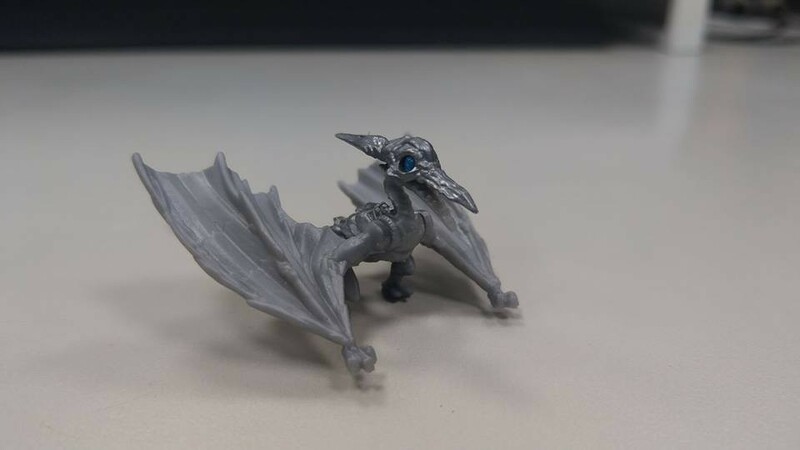 It has been a busy day for new images for the Studio Series line! 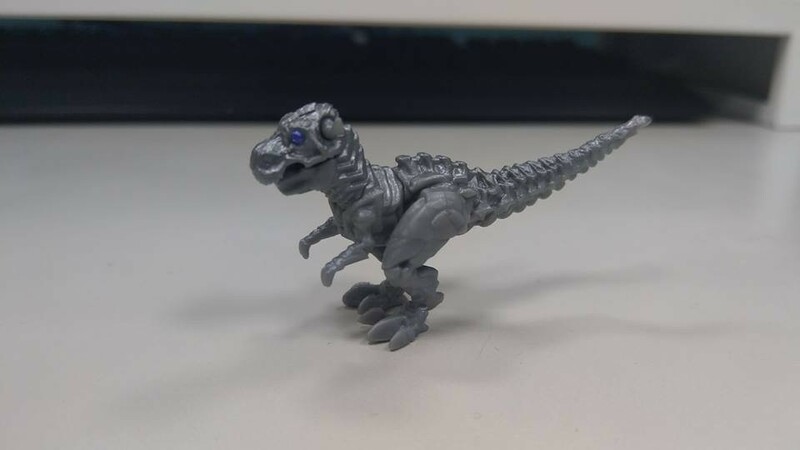 Thanks to the TFCN Facebook page, who shared images from Lai Yanting on Facebook, we have a ton of brand new images of the upcoming SS-36 exclusive Drift with Baby Dinobots! 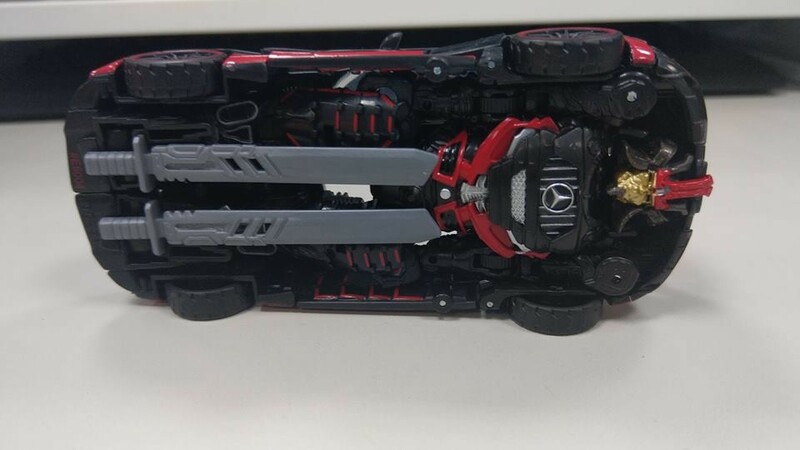 This new Drift figure uses his TLK deluxe class toy and features massively improved paint applications, now being an almost spot on representation of the Drift from the movie. He also features a new Sword to go along with his 4 other swords, this new one done up in some paint and modeled after the sword he balances himself on in the Junkyard in The Last Knight. 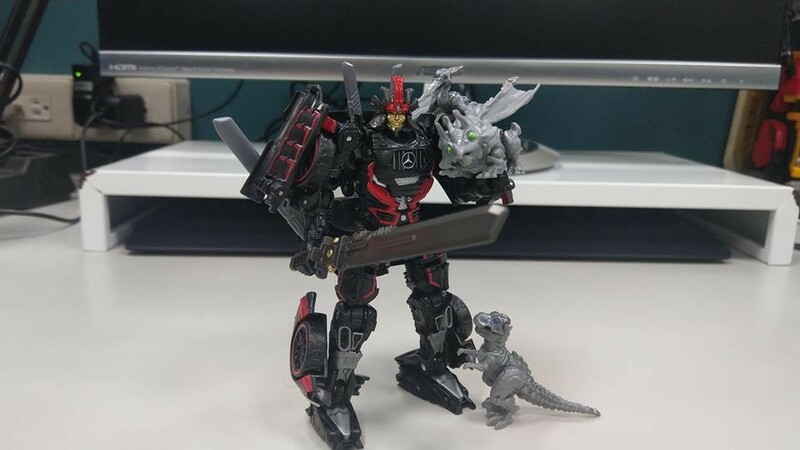 Along with him are his 3 little friends: Tops, Pterry, and Sharp T, based on the Baby Dinobots designs seen fleetingly in the opening Junkyard scenes of the movies. 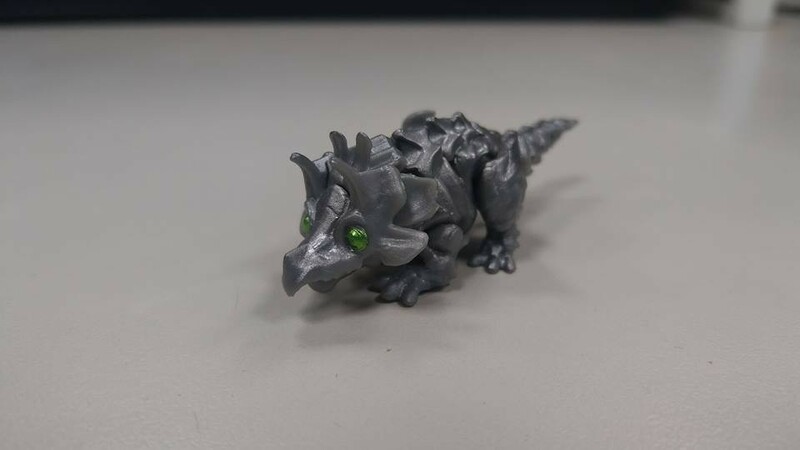 And yes, they are as adorable as you'd think Baby Dinobots would be in toy form. 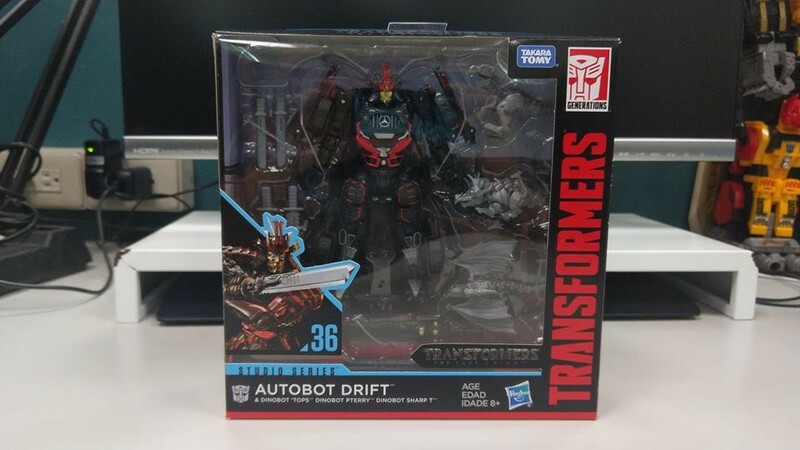 You can check out the in hand images below, and you can keep an eye on your pre-orders if you did order a Drift, as he should be coming in stock any time now! Animated was a GOLDEN line for this. 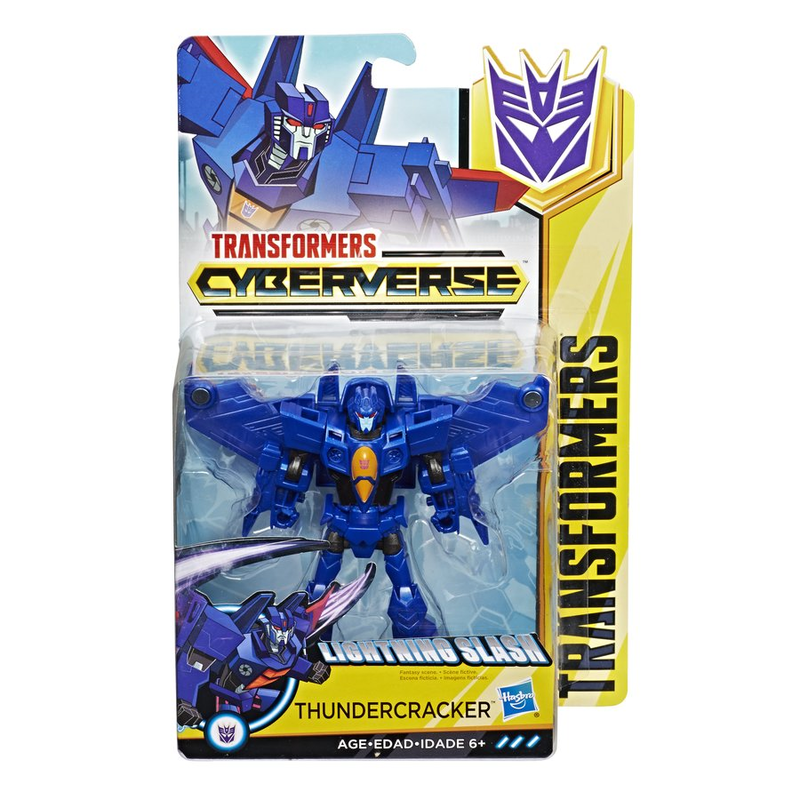 Mostly cartoon accurate, clever transformation, and affordable main line transformers. Will we ever get Animated 2.0? I mean, as far as accuracy and effectiveness is concerned? Prime got it almost perfect with the First Edition molds. After that in RID, there was too much hanging panels and fake parts all over. Only Vehicon for Prime RID got it perfectly. I just found Jetfire's rear landing gear. Didn't use the instructions, are they shown there? I haven't seen them in any video reviews. Glad he has them. You forget Wheeljack who rocked hard. Plus you had ultra magnus, knockout and an arcee that was more accurate than first edition and Takara gave us Breakdown. All I gave you was the price point, we have no assurance that Target (or whoever else) will stock the exclusive. With store exclusives, the only assurance you have is when they show up, not before. People waited 1 year for Walgreens to stock POTP Wreck Gar and some couldnt wait and paid double. So it's up to you. 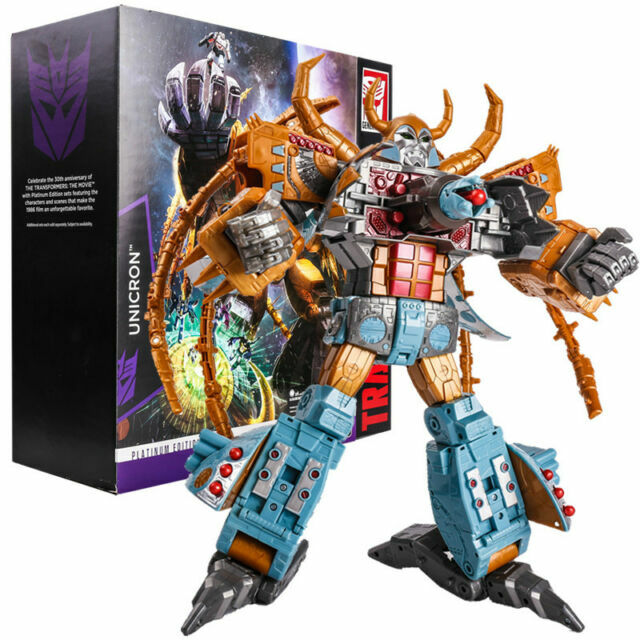 Can you wait several more months to see if Megs shows up at retail for $30 ? Give yourself a deadline for when you cant wait anymore and the amount of money you wouldnt mind paying for him. If you set these limits, then nomatter what there wont be any regrets. Can't judge of Breakdown because I never was willing to spend the cash on him. But yeah, RID Wheeljack and Arcee were amazing. -Kanrabat- wrote: Will we ever get Animated 2.0? I mean, as far as accuracy and effectiveness is concerned? Not without Eric Siebenaler. He was the lead designer for Animated's toyline and a vital aspect of how good that line was. 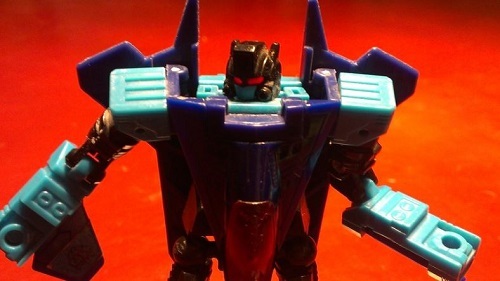 The last TF line he worked on was the Prime First Edition line, before departing the TF brand back in 2011 to go over to the Star Wars brand. I have also followed the star wars brand and I do not see his genius at play there. And yeah, I can tell he worked on first edition, that had the same quality and standard as Animated. I'm slowly picking up the Wave 5 Studio Series Deluxes. 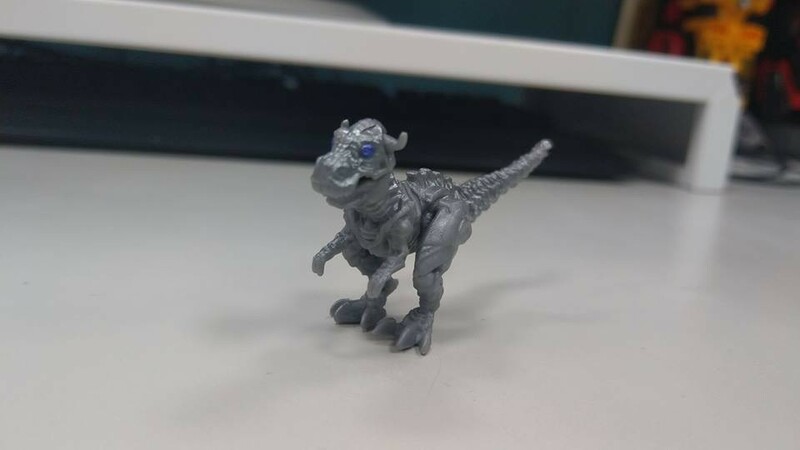 Last week, I found Crankcase in a Target, but none of his casemates. Tonight, it was Barricade without his casemates at Target (along with some Wave 4 stragglers). I'm hoping next week will be Sideswipe! I can wait on the two Bumblebees from the wave. WWII Bumblebee is more of a curiosity. He's not even really screen accurate. 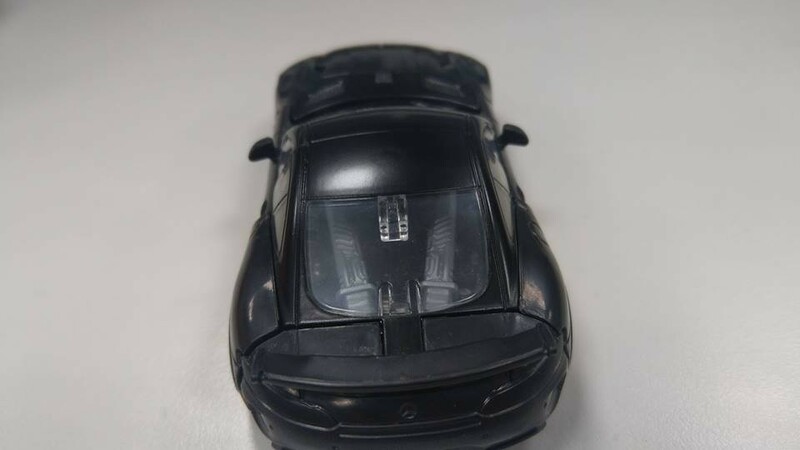 Clunker Bumblebee is just a repaint, but I might bite if the rusty paint apps actually look good and it's true that they fixed the problems with the earlier uses of the mold. Awesome! I was hoping Scavenger was a leader, he really needs to be. I don't really have the funds to go after Devastator, but I might get Scavenger (and maybe Mixmaster) because I love those designs. I didn't expect Overload to be a leader though, so that's cool. I wonder what design they're going with for him, I'd expect something like the old legends class one over the grievous arms/spider legs. Also, Rampage is looking strangely orange in that picture. 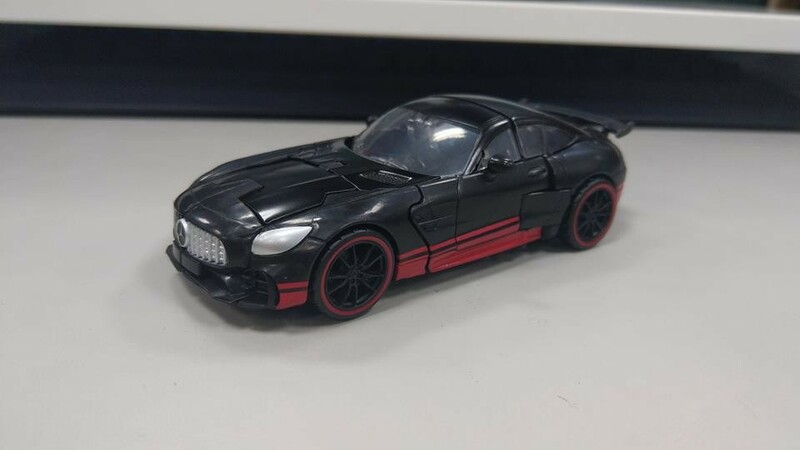 . . repaint, maybe? 4,976 pages were recently viewed by 1,014 unique visitors. This page was viewed 1 times on Sunday, April 21st 2019 9:18am CDT. © 2019 Seibertron, Inc. DBA Seibertron.com. All Rights Reserved. Established June 2000. Seibertron.com is owned by Ryan Yzquierdo.